Look what we’re working on at the Nevada County Fairgrounds – the Califia Café’! This super cute mobile coffee shop (created from the trolley donated to the Fairgrounds from Bob and Debbe Peterson of Lazy Dog Ice Cream) will be located at the Gate 1 parking lot, and will serve coffee and specialty drinks each morning during the week year-round. We’re hoping to open in a few weeks, so if you are one of the many walkers and bicyclists enjoying the grounds each morning, you work nearby, or you just want to stop by and enjoy a mocha, be sure to visit! Tags: califia, califia cafe, coffee, coffee shop, Fairgrounds, and Grass Valley. Thank you all for the comments on our Facebook and Instagram pages for the ticket giveaway! You are all as excited as we are about the Fair. Congratulations to winners Shirley Neely, Gary Watts, Jessica Bauser, Donna Loper, Karen Wapp Landi, Shannon Coe, Matt Johnson, Shannon Riggle, Maya Pemberton and Haley Sweet. Send us an email at moc.r1555672238iafyt1555672238nuoca1555672238daven1555672238@ylpe1555672238r1555672238 and will give you details! See you all at the Fair! This year’s Fair opens in 43 days! What will be the first thing you do when you visit the Fair? Or, is this your first year attending? Leave a comment on our Facebook page or our Instagram page and we’ll randomly choose a few winners to receive a free admission ticket to the Nevada County Fair. Tags: 2016 fair, fair, Grass Valley, Kick It Up, Nevada City, Nevada County Fairgrounds, and ticket giveaway. Majestic Draft Horse performances, breath-taking competitions, and seeing a Draft Horse “up-close” are all part of the festivities at the 30th annual Draft Horse Classic and Harvest Fair, September 22 – 25, at the beautiful Nevada County Fairgrounds in Grass Valley. Featuring six performances by the beautiful Draft Horses, this event has become the premier Draft Horse show in the western United States. The Classic spotlights a variety of horses, teams, and performances; featuring everything from farm wagons, carriages, and driving competitions to dancing horses and racing mules. The stars of the show are the horses, and with more than 120 horses stabled on the grounds, the Classic offers a unique chance to observe them in a multitude of settings. Tickets to this event are on-sale now. Once again, we’re offering discounted pricing on adult admission tickets for evening performances, as well as on morning performances and children’s tickets. Tickets can be purchased by calling (530-273-6217), by visiting the Fair Office on McCourtney Road, or on-line. There is a small transaction fee if you order your tickets on-line. Ticket order forms are available at NevadaCountyFair.com. Choose from six performances! Although there is a charge for the Draft Horse performances in the arena, admission to the Fairgrounds is free so all can enjoy the many activities of the Harvest Fair happening during the four days of the Classic. Visit the grounds to enjoy western music, Harvest Fair agricultural competitions and hundreds of community exhibits, a clogging jamboree, horse shoeing demonstrations, delicious food, and Art at the Classic. Plus, you don’t want to miss the opportunity to visit the barns and meet the famous Draft Horses up-close. We even offer guided barn tours! The Nevada County Fairgrounds is located on McCourtney Road in Grass Valley, just 50 miles northeast of Sacramento. The phone number is (530) 273-6217. Tags: California, classic, draft horses, equestrians, Grass Valley, horse show, horses, Nevada City, Nevada County, and Nevada County Fairgrounds. 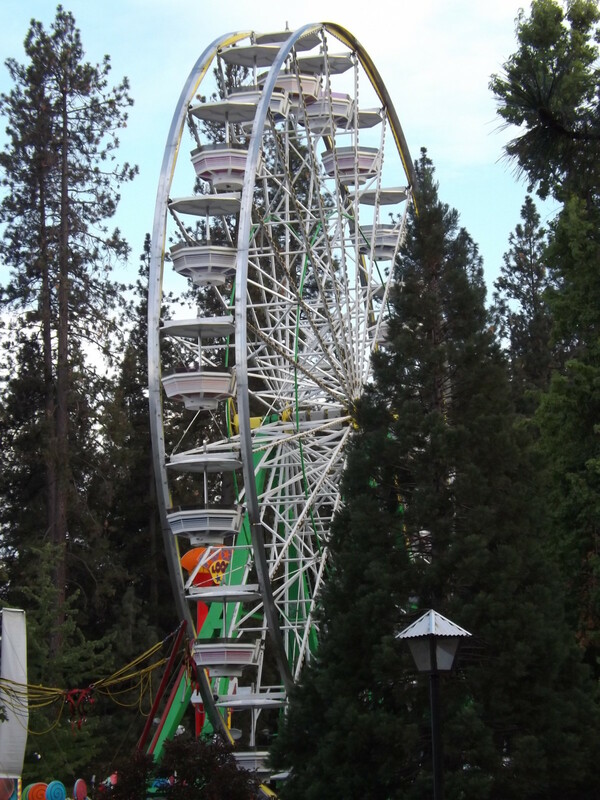 The Nevada County Fair’s Competition Handbook, which includes all the information you need to enter exhibits in this year’s Fair, is now available. If you can make it, bake it, grow it or show it, there is a category for you – and it can be found in the Competition Handbook! Why not showcase a child’s artwork project from school, a cooking skill, or a special collection? Try baking cookies, entering a photo, creating a produce character, making the Ugliest Decorated Cake, writing a poem, entering the Pet Look-A-Like photo contest, or making a bookmark. This year, we have some new categories like blue jean art, creative yard art, toothpick art, or creating a string garden (Kokedama). There are also lots of special contests like the Squash Mobile Races, Daily Special Food Contests, and an Instagram contest. With hundreds of categories available for children and adults – the Competition Handbook has something for everyone. Copies of the free handbook are available at the Fairgrounds’ Office, Chamber of Commerce offices, post offices, county libraries, Raley’s, SPD, Ben Franklin, Foothill Mercantile, and other local businesses, as well as on-line at NevadaCountyFair.com. It’s easy to enter! Look through the book, pick your favorite categories, and follow the simple steps for completing the entry forms. You can even enter on-line. Most categories are free to enter, and you can enter on-line or at the Fair office. The deadline for submitting entry forms and on-line entries is July 22 at 4 pm. Tags: 2016 fair, artists, bakers, community exhibits, crafters, enter an exhibit, exhibits, fair, Fairgrounds, fine arts, Floriculture, Kick It Up, kid activities, Nevada County Fair, photography, quilters, scrapbookers, and youth. This week at Movies Under the Pines it’s The Wizard of Oz! Join us on Friday night at the Nevada County Fairgrounds. Gates open at 7:30 pm; film starts at dusk. All those who purchase a ticket to the movie will be entered into a drawing for a 2016 Fair package! Presented by Nevada City Film Festival. Photo by Jesse Locks. Tags: fair, fair tickets, Fairgrounds, Grass Valley, movies, movies under the pines, Nevada City, Nevada City Film Festival, Nevada County, outdoor movies, and The Wizard of Oz. What are we up to on Treat Street? We’re building a shade sail structure to provide shade for Fair-goers waiting in line for their favorite treat during the Fair! What a nice addition to an already lovely street. Tags: 2016 fair, fair, Fairgrounds, food, Kick It Up, Nevada County Fair, Nevada County Fairgrounds, non-profit organizations, shade, and Treat Street. How about entering one of our Ultimate Food Contests in this year’s Fair? Salsa, cobblers, chocolate, bacon and potato salad are all part of this year’s daily contests. Entry forms due by July 22. All Ultimate Food Contest entries receive free admission to the Fair. Visit here to enter an exhibit. Tags: 2016 fair, bacon, chocolate, cobbler, enter an exhibit, fair, food, food contests, Kick It Up, salsa, and special contests.